Every day that the market is open I have bullish or bearish stock picks for our clients to consider. I am often asked how I find my ideas on a daily basis as most people understand that having a good idea (at least I think they are good) every trading day is no easy task. But I found that when I tried to explain how I find my daily ideas, I was not doing a good job with the explanation. Essentially the question I am being asked is “What’s your process?” I realized that I had never really thought about how I find my stock picks in a way that is simple to explain. This is not to say that I am throwing darts at a board. I know what I am looking for in a bullish idea and the same is true for a bearish idea. I have been involved in the markets for more than 25 years (started as an intern on the floor of the New York Stock Exchange when I was 16) and I am a Chartered Market Technician. I have specific screening tools to help me narrow down the universe of U.S. listed stock picks to a handful that look compelling that morning based on certain conditions being in place. But when I started talking about relative strength, momentum indicators, moving averages and some of the other tools to new investors, I could see (and hear) that I was losing the audience. And I don’t even go into lunar cycles, Fibonacci or some of the more exotic types of analysis that some investors use. If I started adding points from the fundamental side of the equation (I also have an MBA in International Finance), the conversation usually ended on the spot. The problem was that the process, which made total sense to me, seemed too complicated to the investor. Usually, the investor would then return to the same method of investing which they had been using in the past. Often this involves following the headlines or trading on the tips of a guru or someone who they are following on social media. These investors may have some success but ultimately, I did not help them develop an investment process which they could use over and over again to increase their odds of finding winning stock picks. To simplify the analysis of the physics of hitting a baseball, let’s assume the bat can be represented by a uniform slender rod, pivoted at the end. 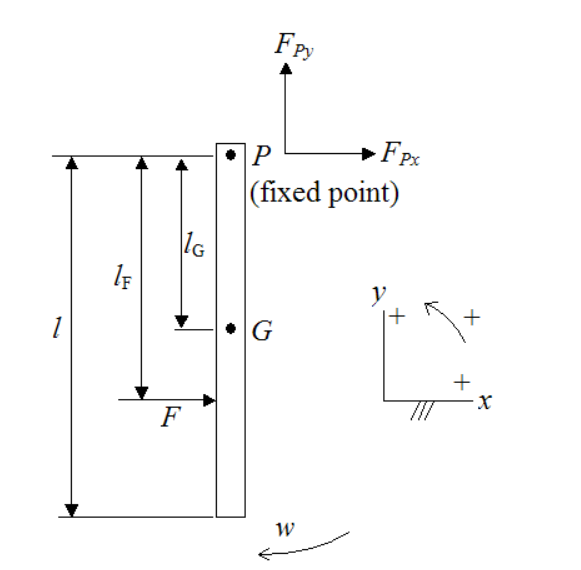 The reference frame and free body diagram for the slender rod is shown in the figure below. The article goes deeper than this and has other diagrams/equations which are interesting but would not likely cause me to run to the door with a bat in my hand every night if this was the way that my father was going to explain the process of hitting a baseball. In fact it is highly likely that I would have decided that baseball was not for me. Or maybe I would have gone on to study physics. Regardless, I am thankful that father chose to explain it in a way that I could understand. I realized that in my role as the Chief Market Strategist at Chaikin Analytics, who is choosing stock picks everyday, I had to make sure that I could explain how I came up with those ideas and that the process is simple (not simplistic) and repeatable. I also realized that this is not just an issue for finding winning stock trades or hitting a baseball. As humans, we strive for simplicity. Albert Einstein, who arguably worked on problems which were far more complex than most of us could imagine, said it best. Notice, the word everything. 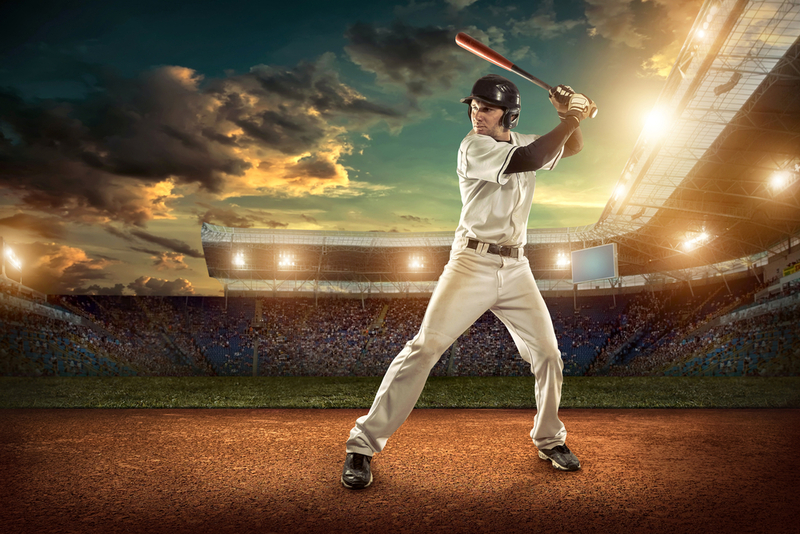 Not just math, science, hitting a baseball or investing…everything. But how often do we find ourselves getting “deep in the weeds” on a subject that we know a lot about? Are we trying to prove how smart we are? Who does this benefit? The person asking the questions is looking for a starting point. When our answer is overly complex, we are likely turning them off from the subject. What if my father had used the physics equation to teach me to hit a baseball? Would I have learned to hit the ball? Maybe, but could you imagine a kid in the batter’s box on a bright summer day in June trying to recall the above diagram as the pitcher was starting his windup? That’s it, one sentence, three key points just like my dad gave me when I was learning to hit a baseball. And guess what, I no longer lose the person asking the questions. They are actually more engaged and open to learning. They ask all of the logical follow up questions: What makes a leading stock? How do you know which parts of the market are the strongest? When do you know that it is oversold? He or she may not agree with my method or may have a different view on what constitutes leading or strong and that is perfectly fine. What’s important is that they are now engaged and on their way to developing their own process that works best for their investment style.